This 1 story with a Front Room Over Garage (FROG) home has an Custom Estate feel. Find comfort in the main floor living with a spacious chef's kitchen and grand entertainment spaces. The coffered ceilings and wooden built ins located in the office space make working from home feel grand. Complete with a covered back porch suitable for sweet tea sippin' with company to enjoy your plush landscaping and gardens. Don't miss the upgraded cabinetry, beautiful countertops, luxurious closets, and tray moulding in nearly every room. 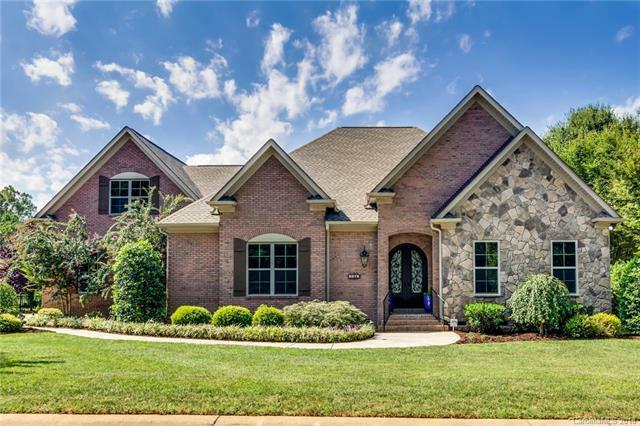 Best of all, location is ideal for close highway access, shopping centers, and award winning Fort Mill Schools.